Hi gang, I'm really crunching the illustrations now! 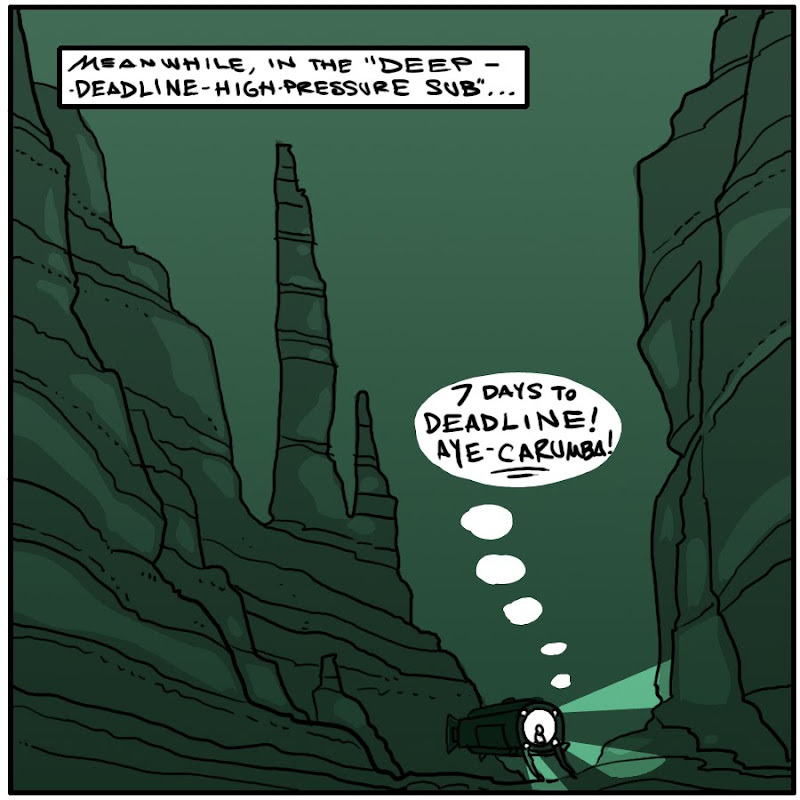 I'm on track to finish 12 BOTS by next Monday's deadline--but it'll be tight. Now, I've heard that Utah Valley folks are notorious cheapskates. I've heard they bring stacks of books from home, but never buy any from the store. Is this true? I, myself, live in the valley, so I don't think I'm a fair judge. Thursday's signing will be the decider in my mind. If Utah Valley can't turn out as many people as Tooele (a city a fraction the size of the Provo/Orem area--and over 70 copies of Calamity Jack were purchased on signing day) than I will have no choice but to brand Utah Valley as "Home of the Cheapy-Cheapskates." And I will have to make a comic on my blog about the "Cheapy-Cheapskates of Utah Valley," how embarrassing. So if you live in the valley, come out and prove the rumors wrong! I wish I could come to this, but I don't live in Utah. Is there any possible way you could come to CA after you're done with 12 BOTS? I think I may be able to be there! And, lucky me, I haven't bought a copy of Calamity Jack yet, so I guess I'll be purchasing it there! Sorry I'm going to miss it! I'll spread the word, though. If your Utah Valley fans bring stacks of books from home, one must assume they bought the books somewhere. They probably didn't print pirated copies from the Internet and hand bind them in their basements. The fact that they didn't wait to buy a copy of Calamity Jack at your signing three months after it was released isn't evidence that they're cheapskates; it's evidence that they couldn't wait that long to get their hands on Rapunzel's sequel! Good luck in the high-pressure sub! So... on the one hand: YEA! You're finally doing a signing down here. On the other hand: DOH!!! I'm stuck on bed rest until baby comes! Of all the rotten, stinking bad luck!